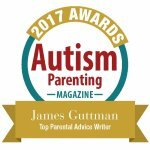 Doing What’s Right For My Child With Autism – Hi Blog! I'm Dad. Understanding Autism is never easy, but over time, you start to figure it out. Since Lucas was a baby, I’ve had time to observe the way he views the world and the best ways to help him achieve his goals. I may not always be successful in practice, but I’m successful in knowing his needs. That’s now. When he was first diagnosed, though, I wasn’t sure of anything. Very few parents of children on the Autism spectrum come into the situation as Autism experts. They’re just parents like everyone else. Learning your child has special needs can happen to anyone and, when it does, it can be hard to grasp, navigate, and accept. Initially, a diagnosis can feel more like a cautionary tale than a reality to a new parent. After all, so much of raising young children is about pushing them towards milestones and goal-oriented parenting. Everything they do, or don’t do, is seen as a reflection of the people raising them. When a baby talks at a young age, everyone congratulates the mother and father as if they made it happen all alone. The belief is that they must have worked really hard to get the child to an advanced level. The same mentality plays out when it comes to delays. Just as the doting caregivers to a babbling infant take credit for the early achievement, the parents of a baby falling short feel the guilt. You begin to blame yourself for the lack of speech, movement, or cognitive skills. The belief is that you should be doing something more. Even if you’ve raised one hundred kids who have all surpassed their developmental milestones, you still feel like it must be something you’ve missed. Your child’s lack of advancement seemingly falls squarely on your shoulders. It can definitely feel that way. The initial reaction for many isn’t one of relief. There’s no feeling of “Oh, that’s why he’s not grasping these concepts yet.” No. It would be great if that was the case. Sadly, to a new parent who has little exposure to special needs yet, hearing a diagnosis like that almost feels like a threat. It’s like being back in High School again and having your teacher tell you that you need to work really hard or else you’ll fail the class. You take the news that your child has Autism in the same way. No matter how straight forward you’re told, you tell yourself what you want to hear. So what this guy’s saying is that if I don’t get my kid talking soon, then he’s going to have Autism. Uh oh. I better work harder. That’s not what anyone is saying. But in a world where we’re told to put on a jacket to avoid catching a cold or to eat better in order to stay fit, the conclusion that a parent comes to when hearing this news is that they need to try more. It makes no sense to anyone outside of your own brain, but in that moment, it feels like the most logical thing in the world. Even as the doctor continues on about treatments, therapies, and devices, you half-listen as a voice in your head gives you a casual nudge. Don’t worry. Forget what he’s telling you. We’ll go home and get this kid talking. Then it’ll be fine. All of this will be a funny memory that the two of you will laugh about one day. That thinking can be dangerous depending on how strongly you dig your heels in to the ground. Wanting to do whatever you can to help your kid is commendable. Believing that you alone can change something that’s out of your control is not. That steadfast belief, in fact, can hinder the same progress that you’re hoping for. When it started to become evident that my son wasn’t going to be speaking any time soon, professionals began introducing pictures and apps to help him better communicate. Rather than ask for a cookie, he could hand me a photo of one or point to it on his iPad. It would be beneficial to all of us and help him finally get the specific things he wants. I knew that. Yet, my inner voice urged me to fight against it. After all, he would never learn to talk if we let him use pictures and apps, right? It would be reinforcing this whole non-talking thing he’s been doing. If we show him that he never has to verbalize then he might do just that. I wanted to say no and angrily tell the room of teachers and therapists that he would be speaking very soon so all of this was pointless. We were all wasting our afternoon. Of course, I knew that none of that was correct and, in fact, kind of silly. He wasn’t non-verbal out of laziness or because he’s given too many options to not speak. There was something more. I was conscious of the fact and knew he needed a way to ask for things so his world wasn’t so secluded from ours. I understood what was right for him and these methods of communication were just that. That’s why I simply smiled and learned how to help him use them, even as everything in my brain tried to convince me otherwise. The bottom line is that special needs aren’t a threat to make parents work harder. It’s not about spending more time teaching your kids or talking to them. I know because I’ve spent countless hours doing just that. It’s one thing to believe your child will reach the levels you want them to reach. It’s another to reject any assistance because you believe that they’ll just “snap out of it”. Unfortunately, these thoughts come before you learn just how “normal” Autism can be and how easily it fades into the story of your life. Time teaches you that. The early days of uncertainty and false blame can make it seem scary for a new family. While I can personally tell you that it gets much better and far less than any doomsday scenario you might imagine, I can also tell you that it’s important to not be stubborn early on. The help you turn away today could be the exact resource they might need tomorrow. As of today, my son still doesn’t speak. However, he has a number of ways to communicate his needs to me. Whether pictures, apps, or signs, he can ask me for everything from bed to bread. Had I listened to that voice in my brain years ago, he wouldn’t be able to do any of that. Never stop teaching and trying to help your child. Accepting a diagnosis isn’t “giving up”. Letting denial and hope keep you from planning for their future is.